Documentaries are a favorite of many for learning something new, seeing things in a new light, or exploring a topic further. These five series and films examine five very different subjects. 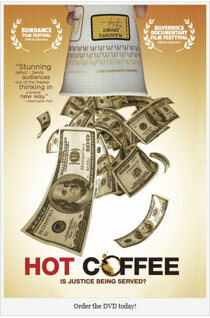 Each is a must-watch and should be taken in with an open mind and an eagerness to understand. 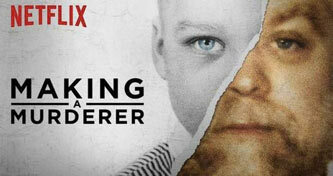 This 10-episode documentary series on Netflix follows the story of Steven Avery, a man wrongfully convicted and incarcerated for 18 years for sexual assault and attempted murder. He was released in 2003 after being exonerated by DNA evidence, then arrested and convicted again for murder in 2005. 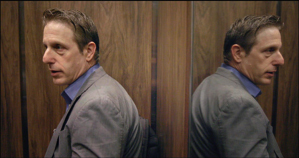 The series looks at issues surrounding the evidence in the original case and the events that led to his 2007 murder conviction. It also follows the arrest and conviction of Avery's nephew, Brendan Dassey, in association with the murder. Many people remember the facts surrounding the Liebeck v. McDonald's Restaurants case even if they don't remember the name of the case. Does spilled coffee ring a bell? The interesting thing about this case is that many people believe the narrative surrounding the events even though they're overwhelmingly false. This documentary takes a look at the legal system and what is considered by many to be "frivolous" or "arbitrary" lawsuits. Specifically, it examines how the major aspects of the popular narrative (careless woman spills her coffee and sues for a large sum of money) were fundamentally incorrect. It shows the images of Ms. Liebeck's third-degree burns and follows the events of the case from the day of the incident to the reduction of the settlement by a judge. This documentary, directed by Susan Saladoff (a trained litigator), is not meant to be just a regurgitation of facts but is said by Saladoff to be an opinionated argument. The lawsuit became a prime example of frivolous lawsuits and a focal point of the case for tort reform in the United States. 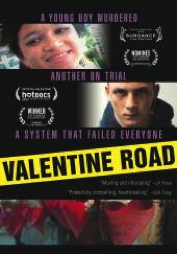 Valentine Road is a documentary by Marta Cunningham that explores the court case following the 2008 murder of 14-year-old Larry King by fellow classmate Brandon McInerny. The case brings up issues related to race, sexuality, homophobia in the media, and bias. This emotional look at the case and trial proceedings, cut from over 350 hours of footage, is presented in just 89 minutes but provides a powerful look at the effect of judgments of others in and out of the courtroom. This 2017 New York Times Op-Doc came about from the idea that defense attorneys and sentencing video makers are bending the truth and the rules to reduce sentencing for their clients. Sentencing videos are typically 8-to-10-minute videos produced about a client to provide a better image of the client's character than the client's record may indicate and to encouragea reduced sentence. Who is the audience for these films? Solely the judge. No Jail Time: The Movie examines why "essentially" true things are frequently counted as "true" in documentaries. Is there a grey area between fact and presentation that allows a biased presentation to be regarded as entirely true? When asked if these tools are available to prosecuting attorneys, Lance Oppenheim said, "As far as I know, the prosecution does not use these kinds of tools to encourage stiffer sentences. This is likely due to the fact that the legal precedent for defendants (in U.S. v. Booker) has not been expanded to the prosecution. Additionally, many prosecutors take issue with sentencing videos, claiming that it is nearly impossible to cross-examine the character witnesses featured in the videos." Balancing the Scales is a documentary that provides an insightful look into the history of women lawyers in America and the challenges still faced by them today. Though not a documentary solely highlighting a specific case, this film interviews several of the most influential women to practice law in this country. Interviewees include Supreme Court Justice Ruth Bader Ginsburg, civil rights attorney Gloria Allred, and Roe v. Wade attorney Margie Pitt Hames. This film is a great examination of the hurdles women have had to (and continue to) face in the pursuit of a legal career. Filmmaker Sharon Rowen said, "I would like this film to jump-start a discussion in our society about how everyone—men and women—can have both career and family, with no preconceived notions about whose career is considered more important or more expendable. Only when our current assumptions are finally recognized as a problem can we then start seeking real solutions." Now you have five items for your must-watch list! Jump into them and see what they have to say, what they have to teach, and how they present their subject matter.